Without doubt, one of the ways to save money, and give your wedding reception food table a wonderful atmosphere, is the candelabra centrepiece. 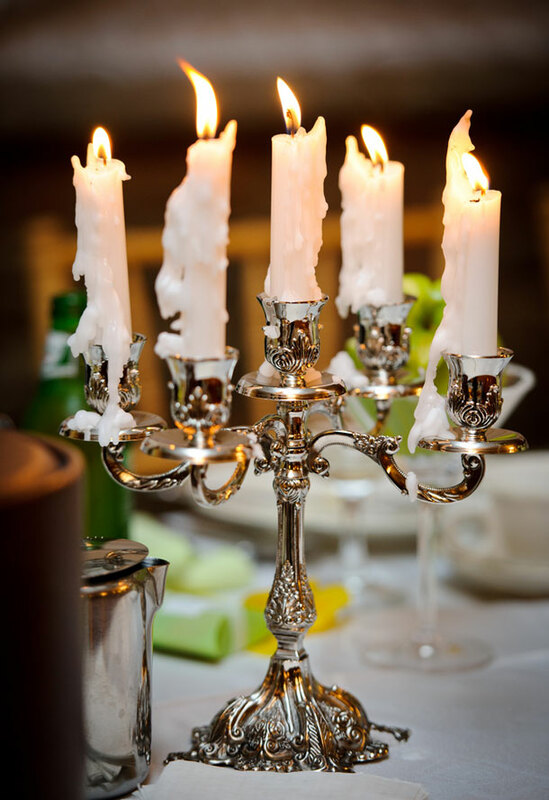 Go one better though and produce a Victorian candelabra yourself that makes an incredible statement and sets the stage for the evening. They’re wonderful to look at, and, if the mood takes you and you have the time, you can produce one for every table at the wedding reception. You will need: a spirit of adventure, a bit of creative energy, artistic incline or conversely, make sure you have a friend or two who are artistic to help inspire you. Set centrepiece(s) up at reception, sprinkle with flower petals or glitter and light candles – voila!